People who own property, whether residential or commercial, are obligated to provide and maintain safe conditions for all who may visit the premises. If they fail to do so and you become injured, you may be eligible to file a personal injury claim on the basis of negligence or liability. The Law Office of Cary S. Macy can help you bring your claim, prepare for the case, negotiate a settlement, and prevail in court. Attorney Cary S. Macy brings over 25 years of experience to all premises liability claims and understands the emotional and economic difficulty that can be caused by such an injury. It is critical when filing a premises liability claim to have knowledgeable and dedicated representation. We provide powerful legal guidance through the claims process if you have been injured on private, public, commercial, or government property. If you have been a victim of owner neglect, it is important to call immediately. Even if the property owner was unaware of dangerous conditions, strict liability may apply and the property owner can be held liable. 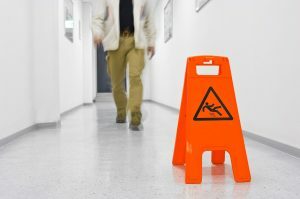 Many premises liability claims involve businesses and other professional entities with the resources to employ a legal team that are experienced in hampering your efforts to receive proper compensation. As a seasoned premises liability firm, we have battled against these deceptive tactics for years and beaten them at their own game. We will hold them liable and shield you during the process with dedication and aggressive representation. The Law Office of Cary S. Macy represents premises liability victims who were injured due to the negligence of a property owner. Contact our Huntington Beach office today at (714) 813-5433 to schedule a free consultation with an accomplished and kind lawyer.